Above extract made with vodka. Either vodka, bourbon, light rum, gin, or, a few visitors said they make theirs with brandy. So experiment and taste the alluring differences each vanilla extract has to offer. and mix the remainder Vanilla Caviar with the Alcohol. and shake (~5 seconds) once a day. it gives the bottle a little shake, and you won't have to. WAIT 2 - 3 months while the Vanilla infuses with the alcohol. as it gets stronger and stronger. Strain and use as desired. completely submerged in alcohol and not stored in refrigerator. in alcohol they will be fine in cupboard. Refill bottle with same kind of alcohol. 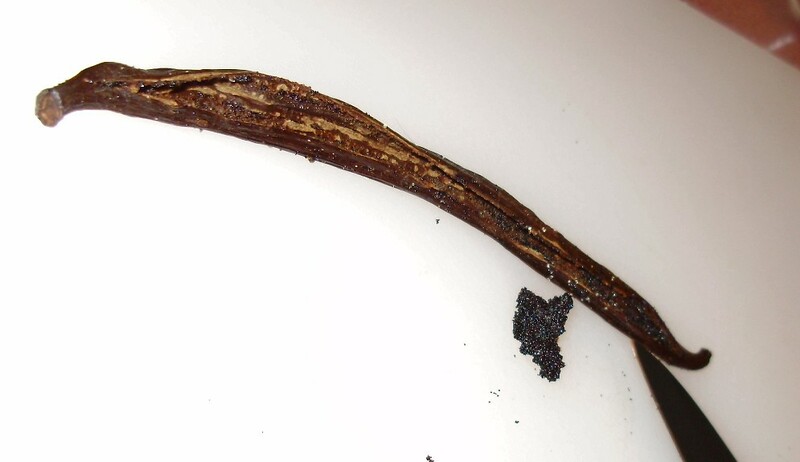 If desired, add one more cut & scraped vanilla pod. Cork & Shake once a day. Then do the difficult part again. The world's second most expensive spice, behind saffron. Our certified organic whole Vanilla Pods are rich in flavor, full of vanilla essential oil and caviar (beans). They are packaged in tall glass corked bottles keeping the pods from being bent or damaged. Our vanilla pod bottles are the perfect amount for the home chef and baker, and is the amount needed to create rich Gourmet Home Made Pure Vanilla Extract. 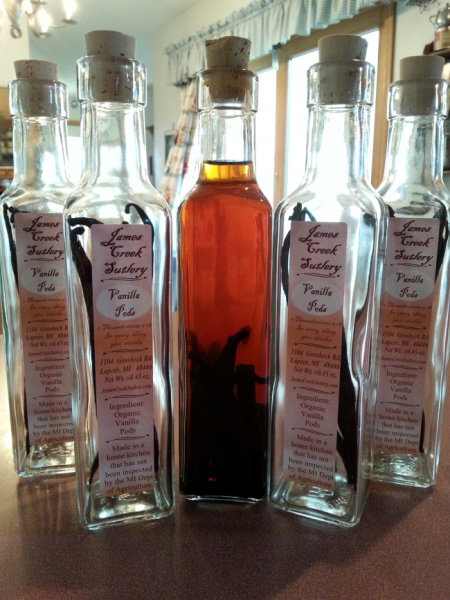 Stop by our booth and smell our Gourmet Home Made Pure Vanilla Extract. "Wow" "Amazing", - is what many say. And yes, you can make it too!